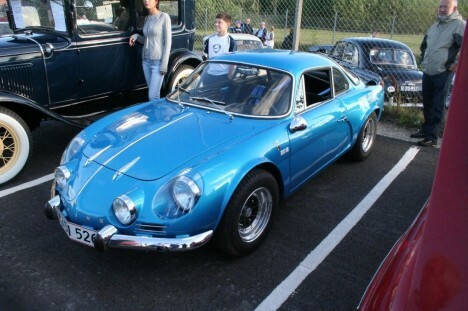 The Renault Alpine A110 proved to be something of an oddity within the sports car world, whilst the overwhelming majority of sports cars relied upon custom made, carefully measured and precisely created components, the Renault Alpine A110 by contrast made use of average, industry issued machine parts. These mass-produced parts were then encased in a plastic “shell” and whilst they were offered in a Berlinetta style, aesthetically speaking, there was very little that was particularly noteworthy of the Apline A110. It was first released in 1961, to a rather lukewarm reception, with its main customer base being loyal fans of the A108 who seemed to dutifully purchase the A110 out of a sense of obligation. Sales were slow, and turnover even more so until the A110 got a much needed boost in publicity and consumer awareness which came about thanks to it being used as a rally car, helping to secure a number of victories for France. In a rather shrewd marketing ploy which was frankly nothing short of genius, the manufacturers also revised the engine upgrading it with a Renault 16 engine with an aluminum block. This change helped to significantly improve both the handling and the top maximum speed which the A110 could comfortably reach, setting the benchmark at 130 mph, a previously unprecedented number for such a small, diminutive style of car. Already riding the wave of their newly founded success with the general public, the Alpine company went on to enjoy even more success as the A110 was used in more competitive events. Among these was the Monte Carlo Rally which took place in 1971, with the A110 instrumental in securing yet another victory. They say that imitation is the highest form of flattery, and the A110 soon developed a cult following around the globe including Mexico, Bulgaria, Brazil and the USA not only among racing car fans but also among car manufacturers as well. Each respective country took the A110 and marketed it with a different name keeping the various proportions and dimensions of the A110 exactly as they were, a sure testament to the success and quality of its design. As the old adage goes: “If it isn’t broke, why fix it?” A lesson which the various automobile manufacturers seemed to have taken to heart. Although the A110 was marketed under various aliases, this helped to improve rather than detract from the mystique and reputation which it was beginning to secure for itself. Sadly, all good things must come to an end, and the A110 simply became a victim of the ever fickle nature of both the market, and technology. In 1974, a prototype of racing car “Lancia Stratos” was designed and given its power, low cost and extremely effective racing abilities, the Stratos quickly overcame most of its rivals making them appear like dinosaurs in comparison. With such raw power and effective handling, the Stratos heralded the end of many a rally race car, claiming the A110 as one of its victims.